Looking for something different? A stallion with stamina, speed, agility, scope and and high percentage of blood? 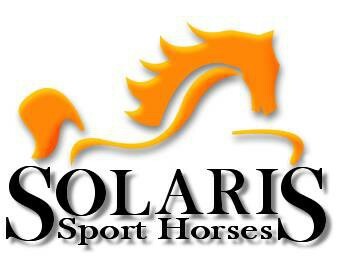 - elasticity over a fence and four exceptional paces, walk, trot, canter and gallop. The Akhal Teke is considered by many to be one of the oldest thoroughbred breeds today.Kambarbay possesses all of the desirable characteristics of the modern sport horse, three very good paces, well defined limbs and a well proportioned length of body and neck along, a beautiful head and a metallic golden sheen to his coat for which the breed are also renown.The Akhal Teke as a breed are infamous for their great stamina, speed, agility and bravery the characteristics very much sought after for the eventing and endurance horse. Kambarbay is a stallion with tremendous nobility and refinement an elegant high blood stallion with the ability as a Perlino to pass on his dilute colouring 100% of the time. Homozygous agouti and cream he will always produce palomino and buckskin foals from solid mares.His first foals show an abundance of athleticism, presence and refinement.Kambarbay has competition results in British Dressage Show Jumping and Eventing.Extensive library of videos, photos, ancestry and progeny details available on our website. Consistent producer of First premium progeny presented at the British Futurity and SSH young-stock gradings. 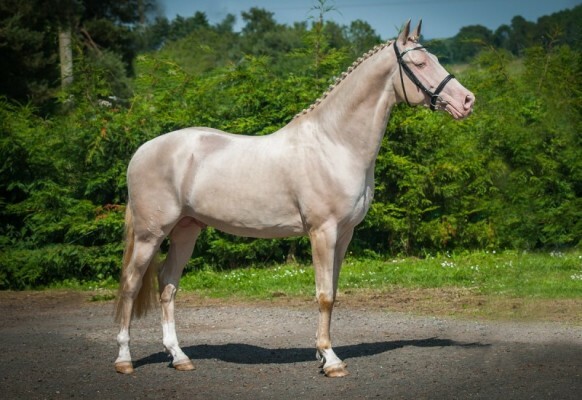 He has crossed well with a variety of mare types, Irish Sport Horse, Warmblood, Thoroughbred and pony mares. He has proven a popular choice with mare owners with progeny born throughout Scotland and the UK. His first foals have arrived in Australia.